A short distance away from the Elios lies the entrance to the Pedestrianized Street (Corso Umberto), the heart of the City, with its age-old alleyways, squares and arcades, typical Sicilian trattorias where visitors may taste the local dishes and wines made from the grapes of the Land, plus bars, shops and all types of restaurants and pubs. Furthermore Hotel Elios is not only the perfect place where to spend a romantic and relaxing vacation but it is also the ideal place if you want to enjoy entertainment and culture by attending some of the famous events and shows held at the Teatro Antico. For guests who enjoy nature walks we offer excursions along the nature trails immersed in the sights and smells of the Mediterranean vegetation between Castelmola, Giardini-Naxos, Forza D’Agrò and Savoca, with tours of the nature reserves of Isola Bella and Fiumefreddo and hikes to the Peloritani mountains, Mount Etna and Nebrodi Park. Our Staff, always ready and available to meet our Guest's needs, organizes daily artistic/cultural excursions. A mini bus is used for the transportation of bigger groups whilst a private car is used for smaller groups and the excursions include trips to Acitrezza, Acicastello, Acireale, famous for its majestic Churches, Messina, Catania, Siracusa and Ortigia, with a tour of the famous Papyrus factory, Noto with its Baroque wonders, Modica and Ragusa, Agrigento with its temples, Piazza Armerina with its splendid Villa del Casale, known for its beautiful mosaics, Caltagirone with its artistic ceramics, Cefalù and, last but not least, Palermo. A18 MESSINA CATANIA HIGHWAY The distance from the highway exit is about 3 km. Exit at Taormina and continue towards Taormina city. Once you reach the large parking area of Lumbi take the adjacent Tunnel. Once you exit the Tunnel continue towards the "centro" (downtown). At piazzetta di Porta Catania turn right and continue along this street. Almost at the end of the street (via Bagnoli Croce) at n. 98, after the gardens of the Villa Comunale, you will find Hotel Elios to the left. TAORMINA - GIARDINI NAXOS TRAIN STATION The distance from the train station is about 3 km. 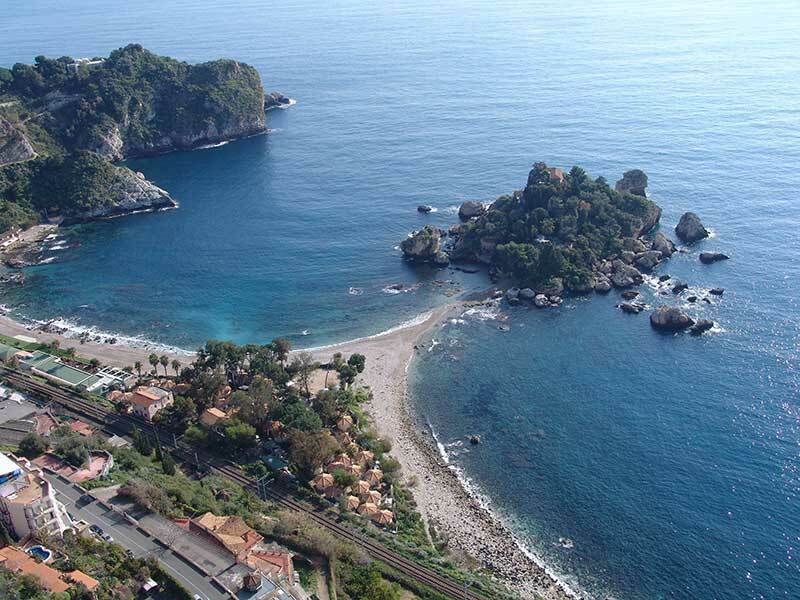 No matter where you depart from you must always use the Messina – Catania – Siracusa line and get off at the Taormina – Giardini Naxos train station. 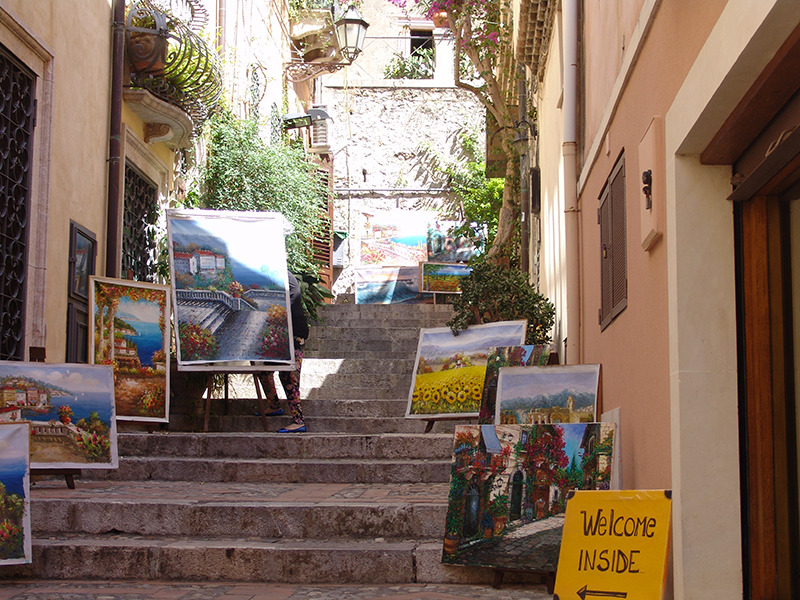 From the station you can reach the Hotel with a Taxi or with the bus that takes to Taormina. If you're coming by bus get off at the next to last stop, the one before the terminal. The hotel is only 100 metres away from the bus-stop, at Via Bagnoli Croce 98. From Catania, Messina, Giardini Naxos, Catania Airport there is a bus-line service (Interbus) that departs every hour. The hotel is only 200 metres away from the Bus Terminal and even closer if you get off at the next to last stop, the one before the Terminal. 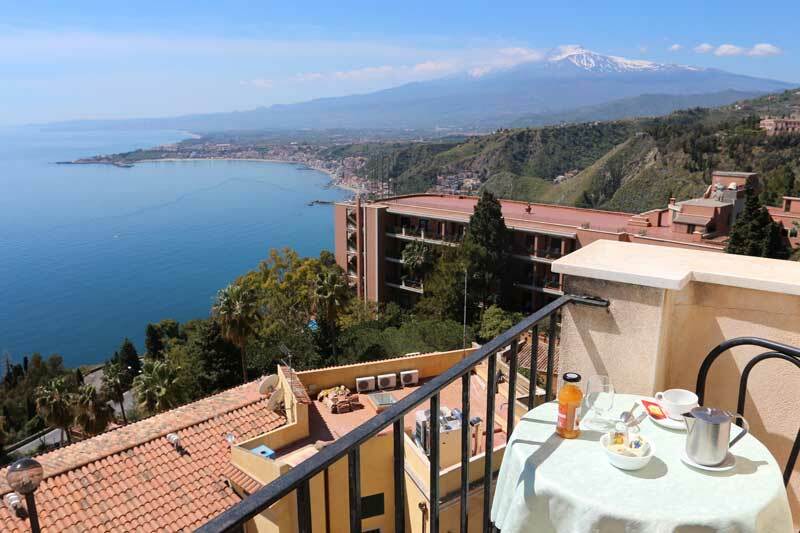 VINCENZO BELLINI CATANIA INTERNATIONAL AIRPORT You can reach Taormina with the regional bus company, Interbus, that departs from the airport every hour. The distance is about 50 km. and the duration of the ride is about 1 hour. You can also rent a car from the airport and follow the directions stated under "BY CAR". Major car rental companies are available at the airport. You may also ask for assistance directly at the hotel. 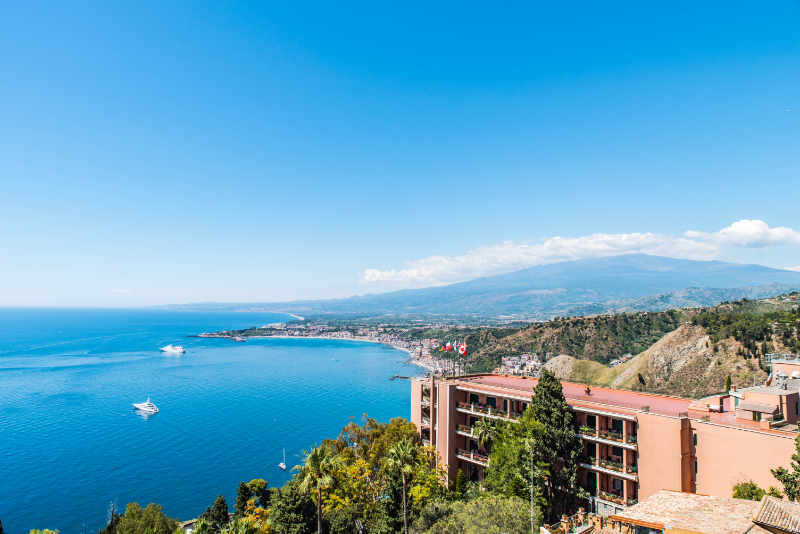 A convenient Minibus service and the cableway station, only 5 minutes away from the hotel, guarantee quick connections to the beautiful beaches of Taormina Mare. Baia di Mazzarrò, Baia Spisone, Isola Bella.